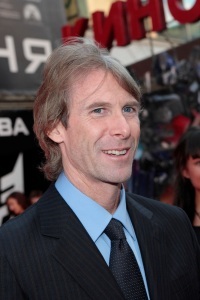 Michael Bay is known for his explosive directing style, especially in the hit movie Transformers. Now it looks like he’s in hot water of his own. Reports are surfacing that Michael Bay has been sued by two men who allegedly say they were pistol-whipped by Bay’s security guard outside a nightclub. Joshua Stewart and Paul Klimczak filed the complaint against Michael Bay August 24 in a Los Angeles Superior Court. The complaint alleges battery and negligence. Joshua Stewart and Paul Klimczak are claiming two years ago they were struck in their heads with a handgun by the Transformers director’s unidentified security guard after the two were thrown out of Kiss nightclub in Hollywood. The lawsuit allegedly claims Joshua Stewart and Paul Klimczak were treated at a local hospital for broken teeth and bones. It is reported that Michael Bay did not participate in the pistol-whipping but he’s being sued for negligence. Reports say an email was sent to Michael Bay’s publicist but was not immediately returned. Currently Michael Bay is in the process of directing the third installment of his hit movie series, Transformers.